My mom found this recipe in the newspaper in the 1950’s, and she makes it to this day. I’ve made it several times, but don’t know why I don’t make it more often. 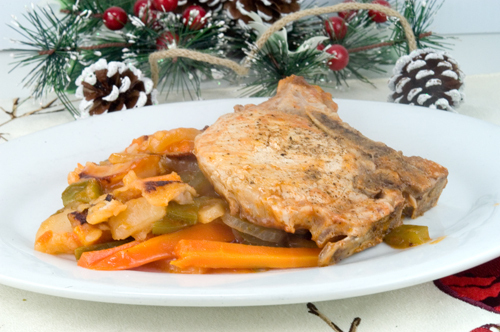 The pork chops are fork tender (and how many recipes have you made with pork chops that they come out fork tender?). It smells incredible when cooking and tastes great too. I have made both on the stovetop and in an electric skillet. Either one is fine. 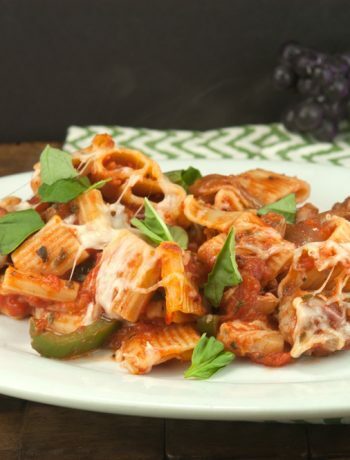 Make sure you use all ingredients when making; once I made without green peppers because I didn’t have any…it tasted like it was missing something…funny, it was! Use an electric skillet or a very large frying pan (I use a Sauteuse or Saute pan about 12″ X 3″ high). Brown chops in pan on high. Lower heat to medium, cover and cook 15 minutes. Remove chops and drain off fat. Layer vegetables starting with potatoes; sprinkle each layer with salt. Place chops on top. Combine soup, water, and Tabasco. Pour over meat and vegetables. Cover and cook over medium heat, 45 minutes or until tender. Serves 6. Note: If you don’t care for Tabasco you can put a little less in. However, I would not omit it. 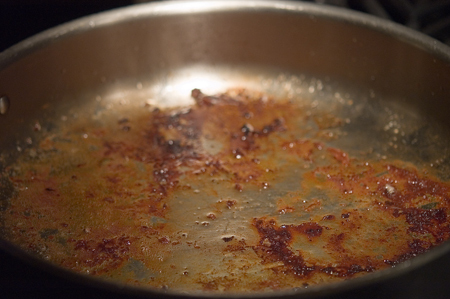 Use a nonstick skillet if you have one. 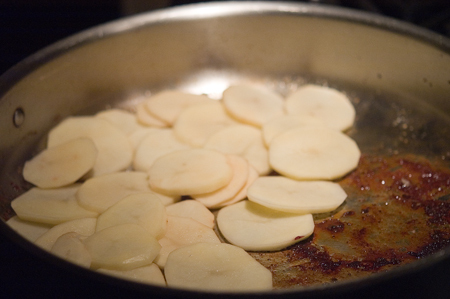 It allows the potatoes to brown since they’re first in the pan, but does not stick to the pan. Pan should have nice browned bits in it after browning pork chops! Next, layer the potatoes in an even layer on the bottom of pan. 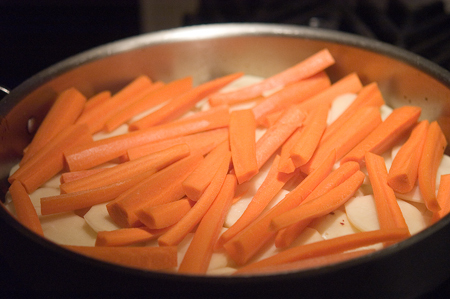 Next, place the carrots on top of the potatoes. 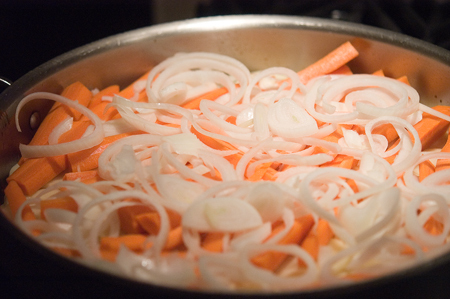 Next, place sliced onions on top of carrots. 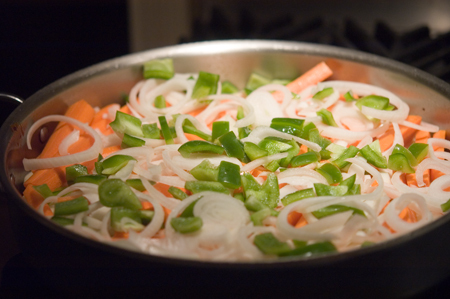 Next, place the green peppers on top of the onions. 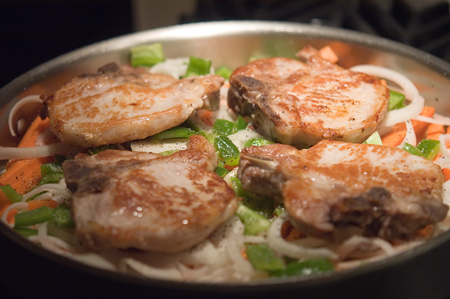 Place the browned pork chops on top of the green peppers. 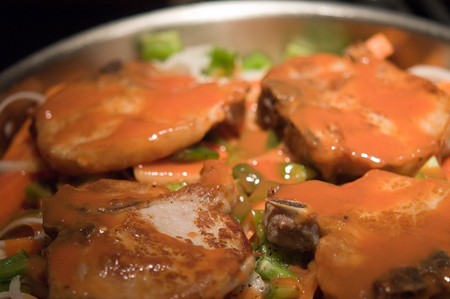 Pour the tomato soup, Tabasco & water mixture all over the pork chops and vegetables. 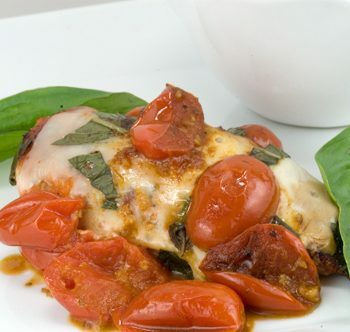 This is one of the recipes I got from a magazine years ago, and still make today. Very unusual, and very delicious. 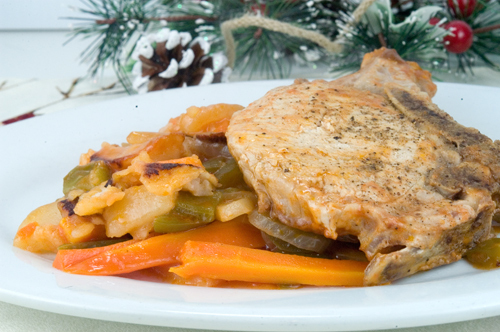 AND…it magically makes otherwise tough pork chops, super tender!